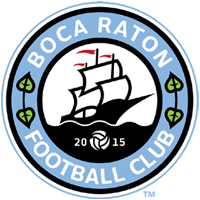 BOYNTON BEACH, FL — Boca Raton Football Club defeated Hurricanes FC at Caloosa Park on Saturday evening 4-1, advancing in the U.S. Open Cup Qualifying Round. Boca Raton got on the board early with a goal by Junior Prevalous that was out of the reach of the Hurricanes keeper. Boca Raton doubled the lead in 38th minute on a goal by Mark Voisin. The Hurricanes tried to claw back and got a goal early in the second half, but a brace by Xavier Silva proved to be the difference as Boca Raton defeated Hurricanes FC 4-1.